Need a fast fix for your commercial kitchen equipment? RK Solutions has 60+ years experience maintaining and repairing ALL types of industrial kitchen equipment in the St. Louis and Mid-Missouri areas. At RK Solutions (Refrigeration & Kitchen Solutions), we're committed to keeping your commercial kitchen equipment running at peak levels so you can focus on what's important...your business! Few things hurt profits like restaurant kitchen equipment that's down. That's where we come in. Our team has 60+ years of experience keeping Missouri restaurants up and running. This equals happy guests and more profits for you. Find out why your competitors have switched to RK Solutions! We repair commercial kitchen equipment such as ice makers, cooktops, HVAC, walk-in coolers and freezers and everything else it takes for you to serve your guests. 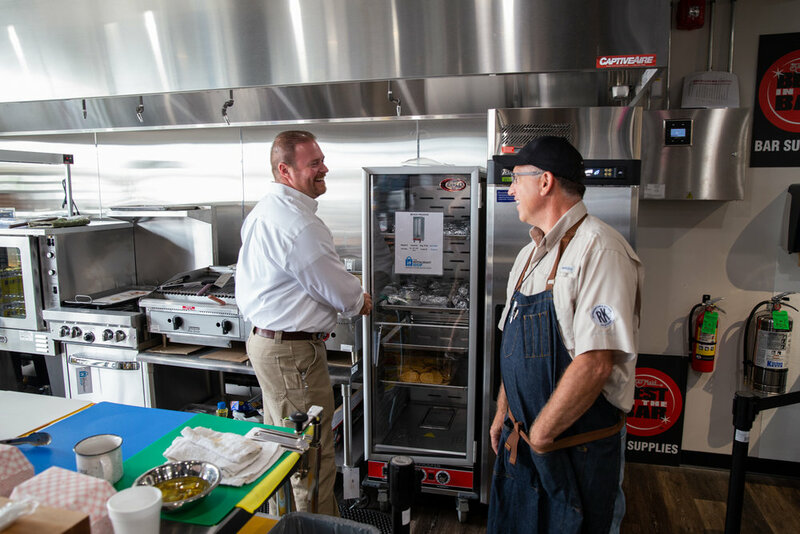 Our team of professionals has 60+ years of combined experience installing, maintaining and servicing commercial restaurant equipment in Missouri. Want tips on keeping your kitchen equipment up and running? Join our insider newsletter and get tips on how to have less downtime in your restaurant! Put simply, what makes us better than the other guys is our team! When you need a fast fix for your commercial kitchen equipment, our crew is what makes the difference in you being up and running sooner, rather than later. Refrigeration and Kitchen Solutions services commercial kitchen refrigeration, hot side food equipment, heating, ventilation, and air conditioning HVAC, exhaust and make up are systems, coffee equipment, and pizza ovens. Our preventive maintenance programs can be customized to fit your needs to reduce costly repairs, save on energy bills, and increase the life span of the equipment. We have technicians located in Mid Missouri that serve the Sedalia, Columbia, Lake of the Ozarks, and Jefferson City areas. We also have technicians located in St. Louis County, St. Charles County, and Lincoln County to serve the St. Louis and Midwestern Illinois areas. Our qualified, honest, service minded technicians are available 24/7. We serve many chain and independent restaurants and hotels, assisted living facilities, universities and schools, convenience stores, and retail establishments.